Beginning with the archive of 198 Contemporary Arts and Learning, this event will examine the exchange relationships between large cultural institutions and smaller independent organisations, considering the future position of small independent arts organisations in a changing arts landscape. Join agency for agency and 198 Contemporary Arts and Learning as they reflect on the Possible Futures project, 198’s Archive and legacy in a cultural landscape where small arts organisations are in increasingly precarious positions and are encouraged to prove their legitimacy for funding through partnerships and exchanges. But what is the nature of exchange? Who do these exchanges benefit? What does this mean for the communities that a small organisation such as 198 serves? 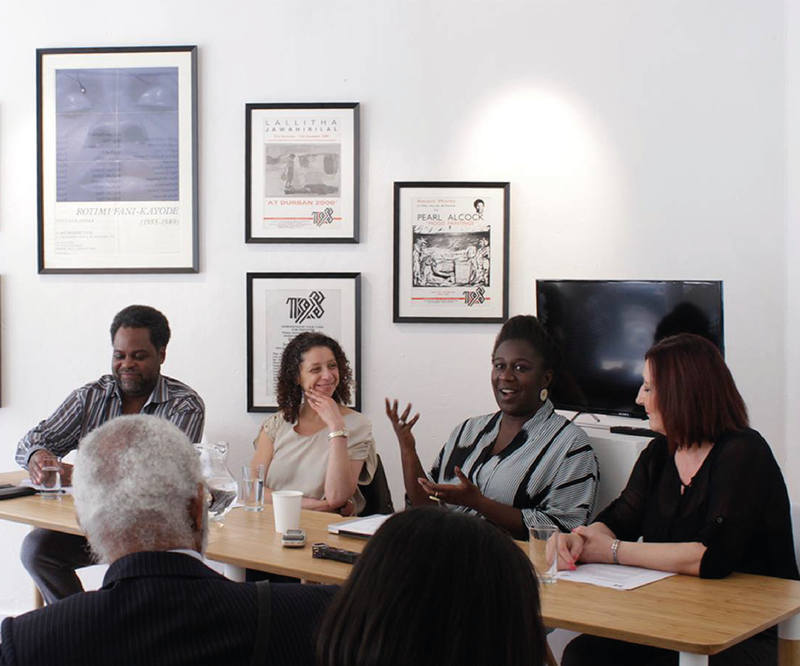 This and more will be discussed in this conversation with Artist and Academic Dr Roshini Kempadoo, Director of 198 Lucy Davies, Fiona Kingsman, Head of Tate Exchange and Dr Karen Salt, Centre for Race and Rights University of Nottingham Chaired by Paul Goodwin, UAL Chair of Black Art and Design and Director of TrAIN.